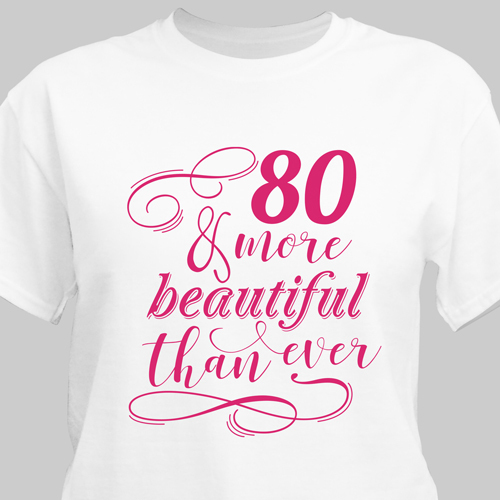 With age comes beauty, so celebrate your birthday like no other with our exclusive Birthday Personalized T-shirts. 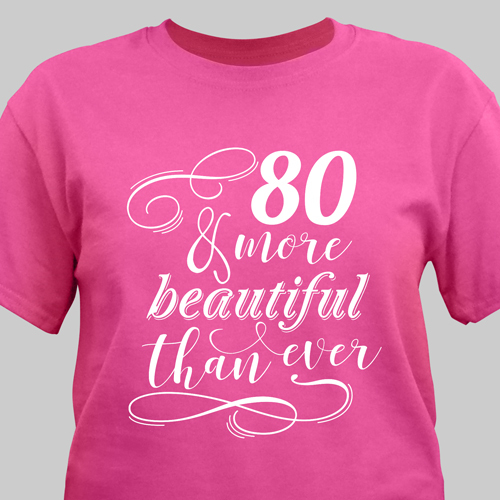 We'll customize this Personalized Shirt with any age in you choice of one of our popular text colors. Makes a great gift for that special someone on your list. Nice shirt! Women’s medium seems a little big but good quality and price. Have had very good service with with all orders. 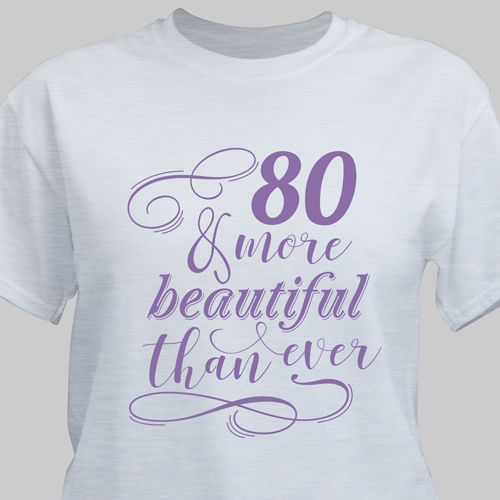 shirt was bought as a gift for grandmother living in a different state so i haven't seen the tshirt in person but she says they are beautiful looking & she loves them. 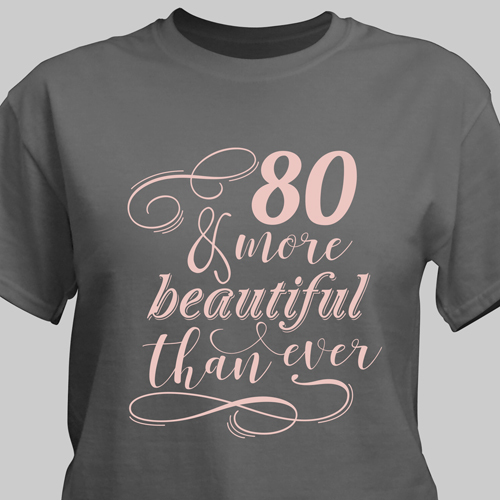 Love this t-shirt! Very well made and best of all my grandmother loves it!! !